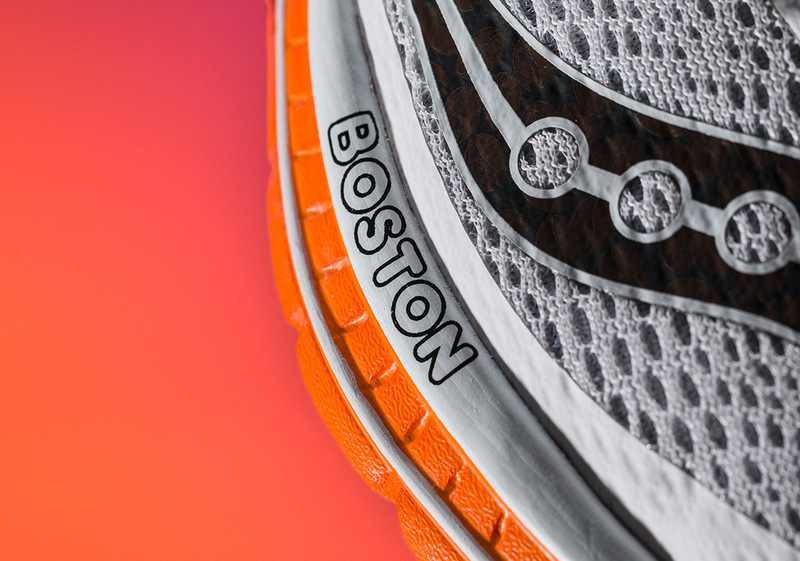 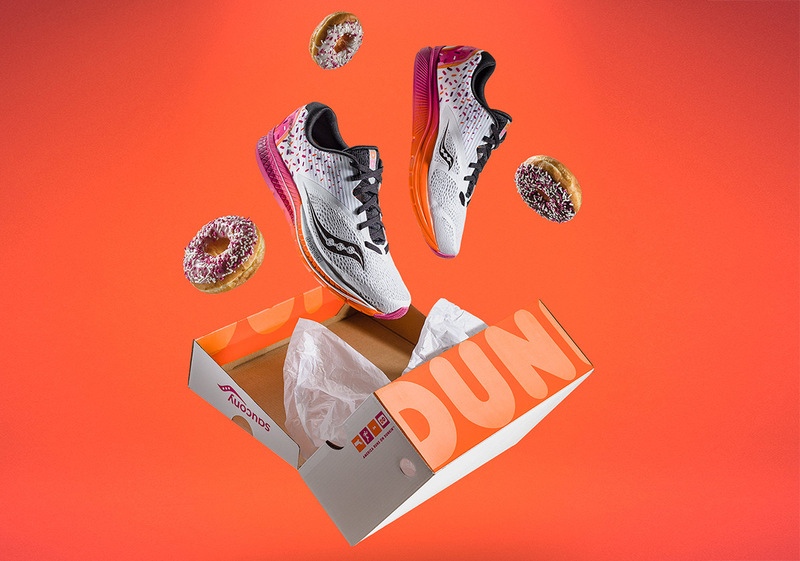 It’s safe to say that America really does run on Dunkin’, as Boston-based Saucony and Dunkin Donuts have come together for a sweet collaborative take on the Kinvara 9, Saucony’s premier light-weight distance shoe. 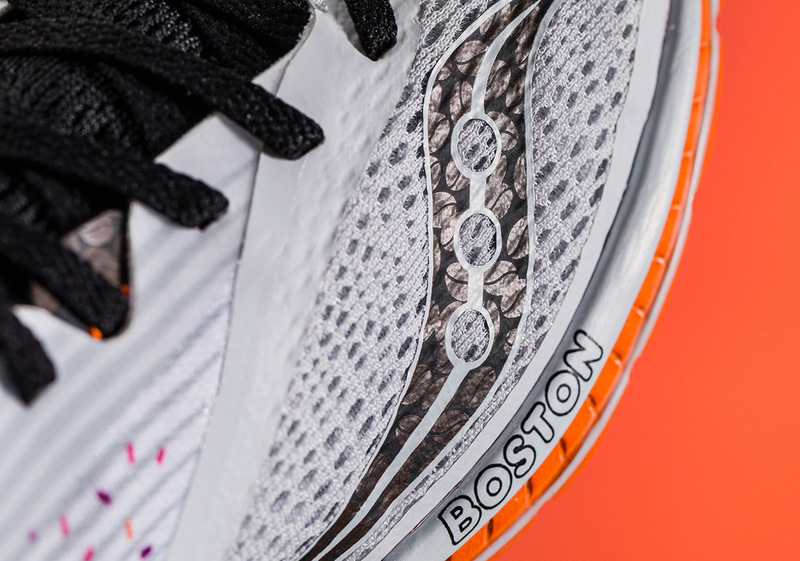 Releasing in tribute to the Boston Marathon and arriving in a white, magenta, and orange colorway inspired by the Dunkin’ Donuts’ signature color slate, the shoes feature a sprinkle detail on the upper, a frosted donut graphic hit on the heel, coffee bean detailing on the forefoot logo and a “Boston” hit on the midsole. 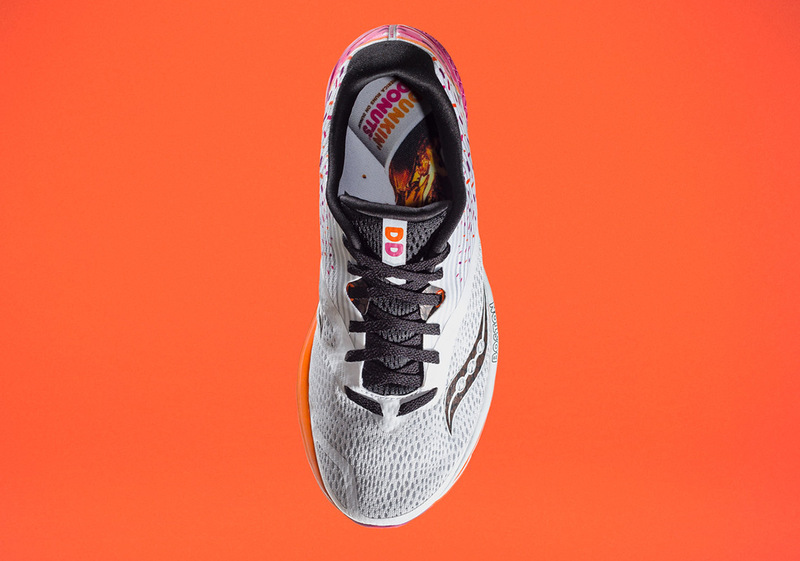 The shoe’s left insole features an iced coffee design while the right insole features a hot coffee design and the box features even more custom Dunkin’ Donuts branding. 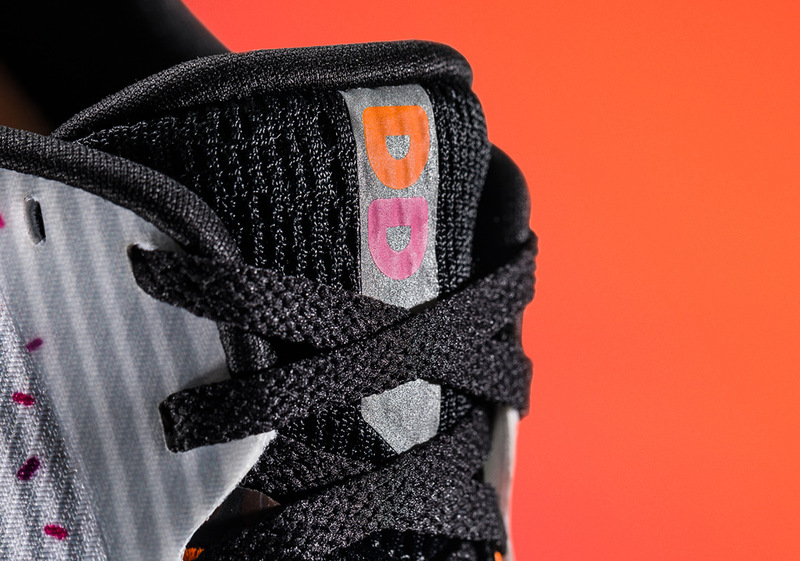 Three sets of laces done up in the signature Dunkin’ Donuts colors wrap up the shoe’s whimsical aesthetic. 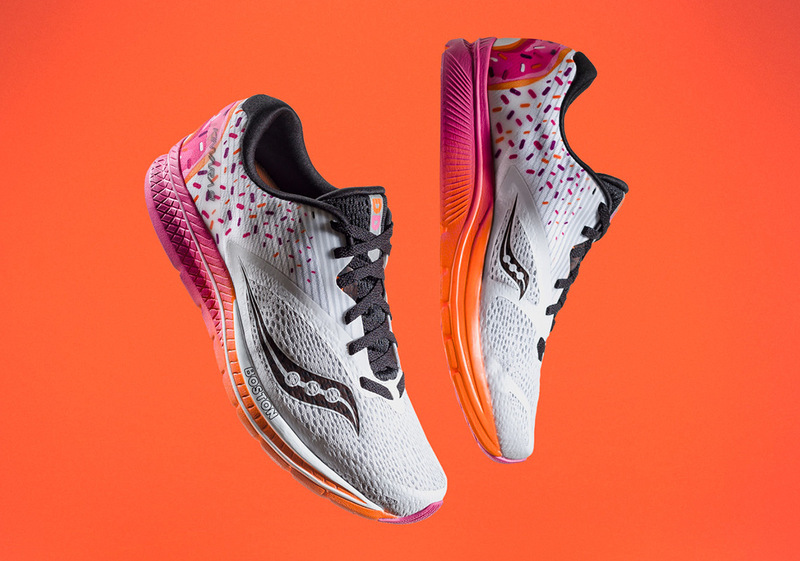 This sweet take on one of Saucony’s newest performance shoes will be available for pre-order on Saucony.com starting March 27th, and will ship April 3rd.